It is very important to have an accessible classroom, and that includes your documents. 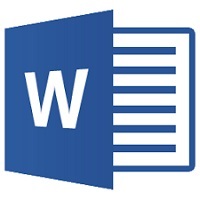 Are your Word documents currently accessible to all students? Below is a video (less than 5 minutes) to help you see what it takes to make your Word documents accessible. John F. Kennedy said “The time to repair the roof is when the sun is shining.” This is very true when making your classroom accessible. Trying to do it at the beginning of a semester, and only when you find out you have a disabled student, will lead to a lot of unwanted stress. It is best to start right away and give yourself time to repair inaccessible items. Thank you for subscribing to the Faculty Learning Corner! Have a great weekend!